Now we have our own IPL. When you have been around for a while (as I have), the inception of a new competition doesn’t immediately elicit huge excitement and while the creation of a franchise based tournament rather than a state based one did seem like a great idea (way back in 2011), I must say that the BBL has kind of snuck up on me year by year. I think we can safely say in season 6 that the BBL has arrived! Anecdotally, it felt like the best season so far. The imports were a good mix of living legends (Brendon McCullum, Kumar Sangakkara and Kevin Pietersen) and current superstars (Kieron Pollard, Stuart Broad, Ian Bell and Sunil Narine) but often it was our local based stars that lit up the screen night after night. Chris Lynn was incandescent and I’ve never been so disappointed as the game when the Australian Cricket selectors made him sit out, even though he was at the ground! Sean Abbott led the wicket taking stakes but Mitchell Johnson was menacing, prompting enquiries into his international availability. I’m always amazed at how well the spinners do in T20. The eye test definitely supported this on the streets. I saw Heat jerseys everywhere in Brisbane, especially on kids. The brand of Cricket T20 throws up is as exciting as Cricket can get. All slogging, all the time! Stumps flying everywhere. The finishes are nearly always close and a few good overs can bring most sides within sight of a win. The BBL is on at a time when not much else is on. For starters, it is school holidays so kids can attend all the games. TV is pretty dire during December/January as well and people’s viewing habits have changed so they can watch episodes of their favourite shows on multiple platforms at any time. Live sport is one of the few things that must be seen right then. BBL is affordable, especially for families. Commentating is WAY MORE INTERESTING than that which channel 9 continues to serve up. It only goes for 2 hours and isn’t a significant impost on your time. No natural competitors in Australia. Basketball and Baseball are not massive. Domestic Football is on the improve and the Tennis only kicks in from the start of January but BBL seems to have carved a niche for itself already. 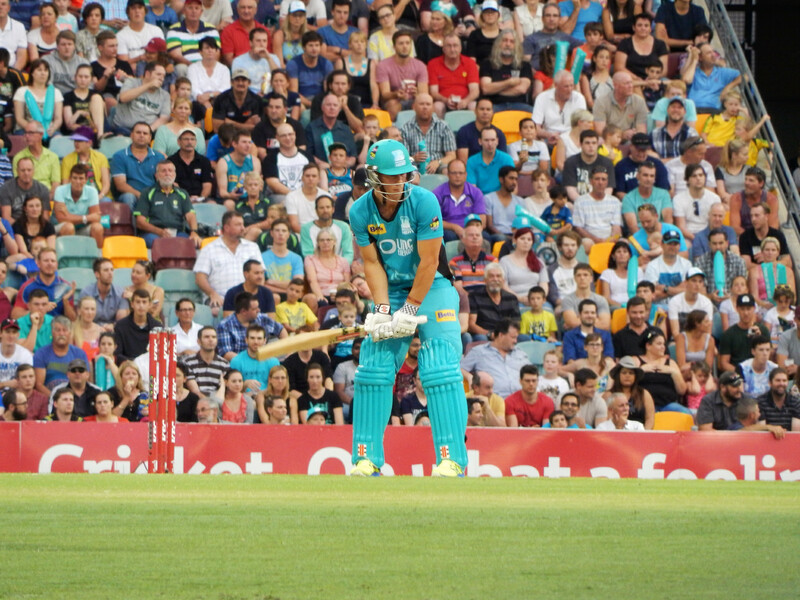 In terms of Cricket the IPL is no longer overshadowing the BBL. When the IPL started, it seemed like every other country’s T20 competition was going to look poor in comparison. The biggest mistake IPL made was to completely turn over imports each year. I was pretty fond of the Kolkata Knight Riders in the first two seasons of IPL but by season 3 nearly all the teams were unrecognisable. You need continuity to build a fan base, maybe not if you live in the city where a side is based but for everyone else. Plus when the IPL started it was on free to air in Australia. Once it disappeared I suspect so did the majority of Australian interest. Rare context for domestic cricketers to become household names again. It has been a while. I’ve said a number of times (here and here) Cricket has many issues to solve to remain relevant. BBL is definitely not one of them. Well done to the Australian Cricket Board. This entry was tagged Australia, BBL, Big Bash League, Cricket, England, Indian Premier League, IPL. Bookmark the permalink.